Got a hot date or simply hanging out with the girls over some drinks this Valentine's Day? 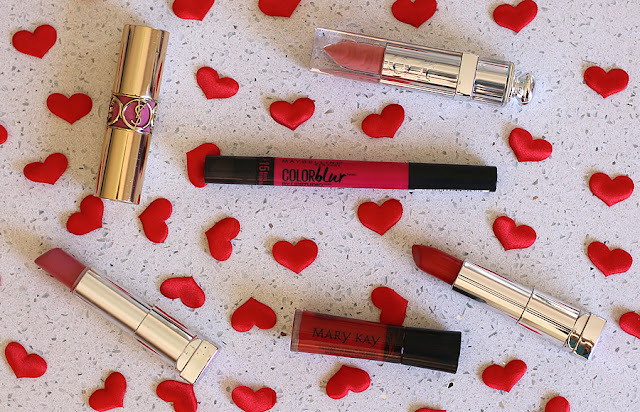 Here are some kissable lip colour options for the special day. 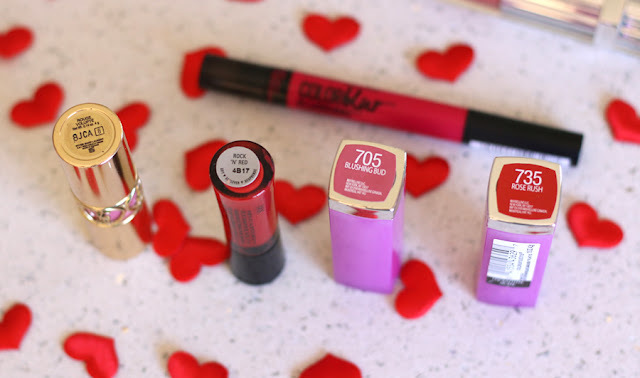 I have a mix of brands and colours in this post that I have selected to recommend because I think they make beautiful romantic lip colours perfect for the day of love. 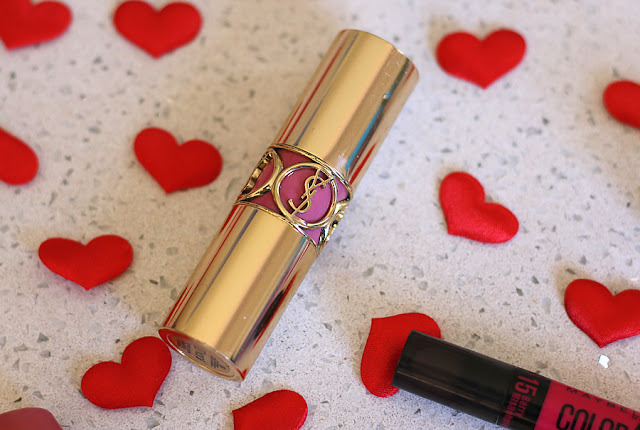 Whether you are looking to splurge on a high end lip or save some money on a budget friendly option - there is something for everyone in this post. YSL Rouge Volupte 05 Fetish Pink is for those girls who prefer a sweet and pretty finish. This bubblegum light pink would go great with a bright coloured dress as a more subtle look on the lips. 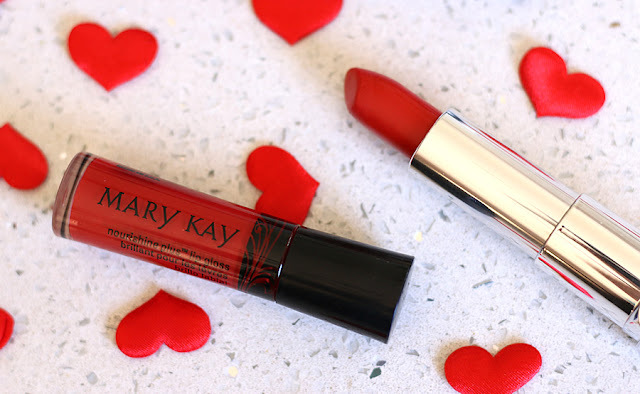 It is super soft and creamy on the lips for a bold opaque finish. 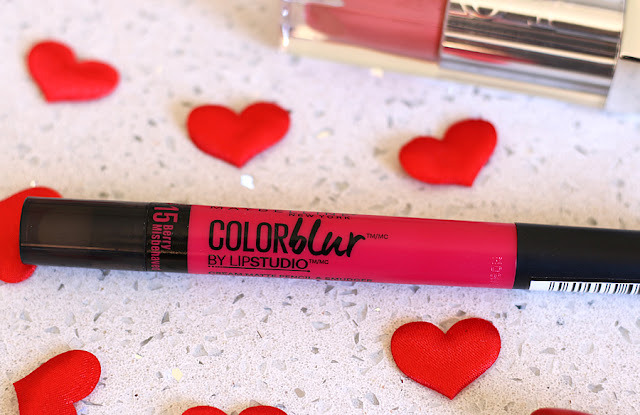 Maybelline Color Blur '15 Berry Misbehaving' is the perfect bright berry red with a slight undertone of pink. It is a completely matte shade the almost stains the lips rather than the product sitting on top that way this will last through eating, drinking and the possibility of kissing. Dior '338 Mirage' Fluid Stick is the perfect choice for those of you who want a soft apricot lip and super shiny finish. This smooth and creamy gloss has absolutely no tackiness to it making it a dream to wear. Mary Kay Nourishine Plus Lip Gloss in 'Rock 'N' Red' is the perfect mix of gloss and colour. It is quite an opaque product, giving a beautiful red sheen to the lips with a glossy finish. This kissable shade is the perfect addition to a little black dress. Maybelline 734 'Rose Rush' is your classic bold creamy red lip. This crisp apple red is a stunning eye catching colour that looks amazing on all skin tones. Pair this with neutral or smokey eyes and you are good to go. 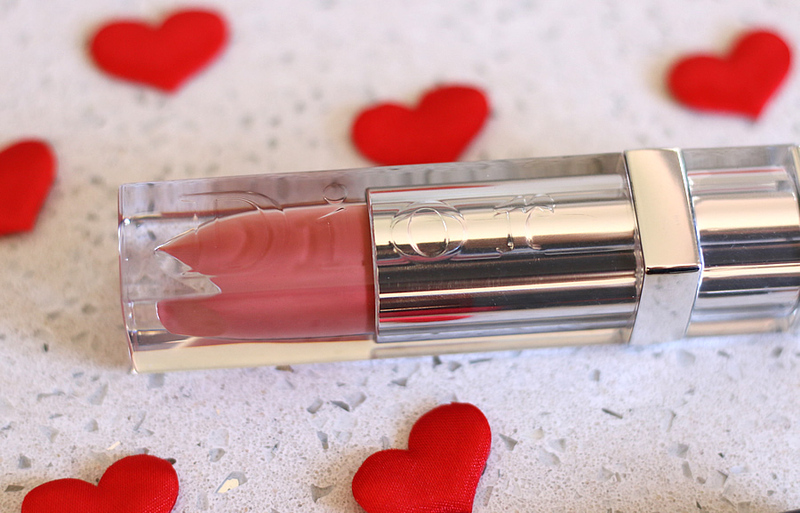 Also from the Rebel Bloom collection, another recommendation is 705 Blushing Bud for a more neutral understated lip. This medium toned dusty pink is wearable and subtle if you are worried about your lipstick smudging while eating. 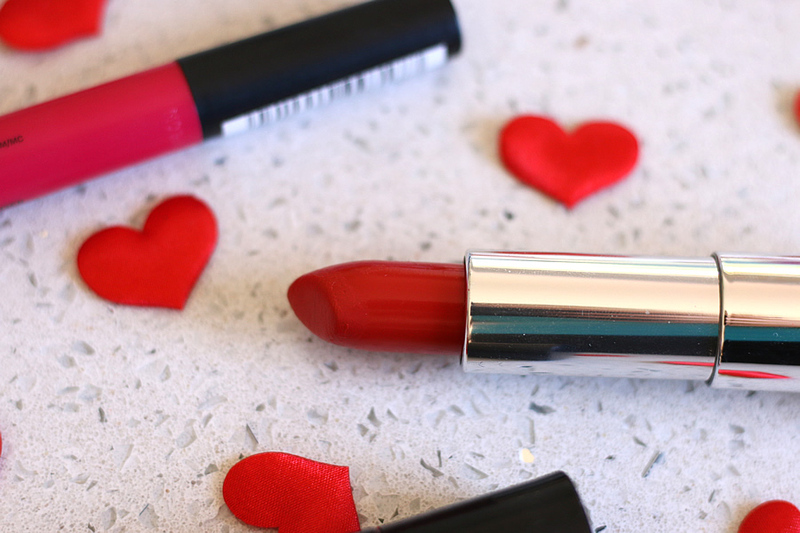 With so many stunning red and pink shades available on the market, it was hard to narrow down my list to just six recommendations but I am happy with the ones I chose. Let's chat on social media about some of your favourite romantic shades for this holiday @JordyCannon on Instagram, Snapchat, Twitter and Facebook.